The quiet rooftop. All photos courtesy of Mercer Barcelona. We're continuing this week's tour of Iberia in Barcelona. 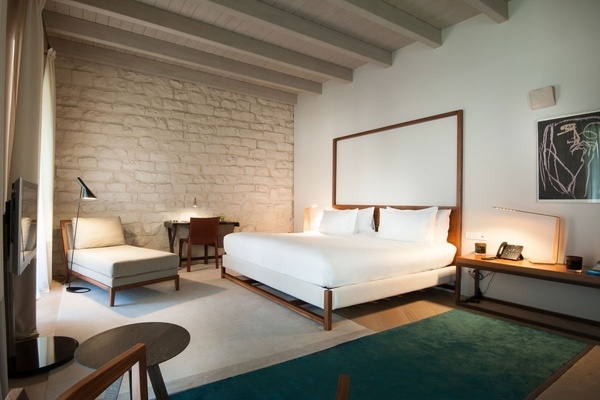 Popupla founder Pavia Rosati returned for the first time in decades and found a special small hotel that evokes the city around it. BARCELONA – It had been more than a decade since I had been to Barcelona. (Twenty-four years, but who's counting??) When I mentioned this to a local, he replied, "well, it's like you've never been." But on a weekend visit last fall, I found the city remained as I had remembered it: lively, historic, elegant, creative, and very, very tasty. My hotel, , was a pretty accurate reflection of the city itself. 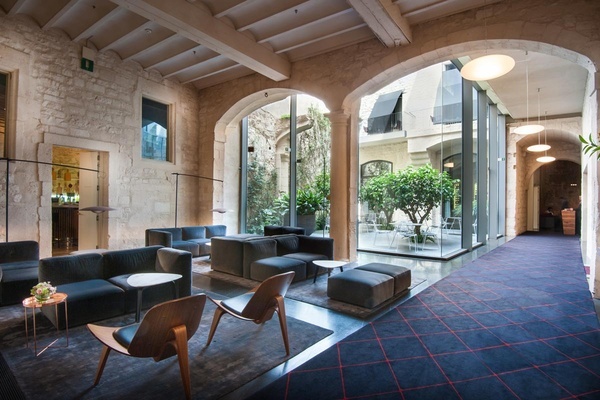 A small, gorgeous boutique hotel with spacious rooms, two excellent restaurants, and a picturesque rooftop pool, its location in the middle of Barri Gòtic made it an outstanding and convenient base for exploring the city by foot, metro, and Uber. I was charmed by the juxtaposition of new design and old foundations — the Mercer was built atop walls that once formed the ancient Roman city Barcino. You can see them from the private dining room and library behind the modern cocktail lounge. The arches in the atrium are from the 14th century; the wooden ceilings in the bedrooms are from the 18th. 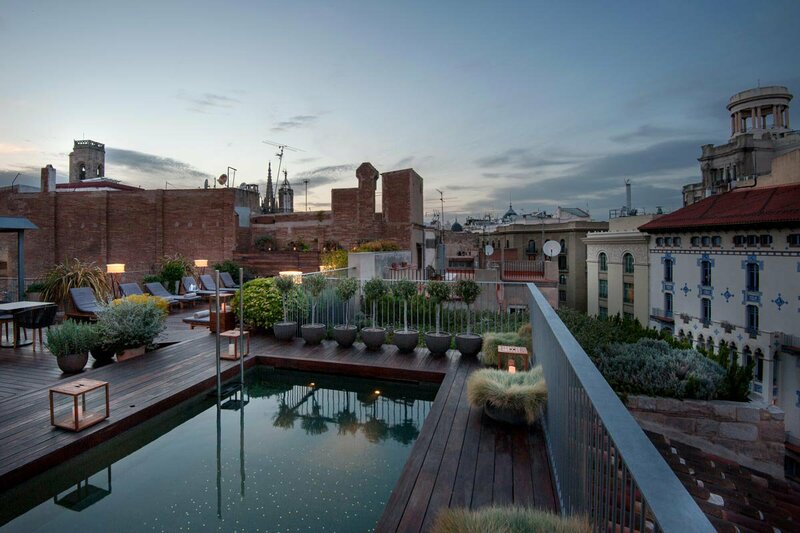 The deep bathtubs are from the 21st, but the better move is to soak in the rooftop pool at sunset, overlooking the rosemary bushes and Catalan rooftops across the street, glass of cold cava in hand. My room, #208, was divided into three areas and looked out onto the atrium. I entered into a living area with a sofa and armoire. To the right was the bedroom with a desk; to the left a spacious bathroom with the aforementioned large tub. Architecture and design aren't the only thing they got so right: The food is terrific. Breakfast in the sunny atrium — a spread of delicately arranged fruit, yogurt parfaits, and jamon sandwiches — was an ideal way to start the day. My list of city restaurants exceeded the number of meals I had, so I didn't eat at the elegant Mercer Restaurant. But I was impressed with the inventive tapas the same culinary team serves at the more casual Le Bouchon: It more than eased the pain of a midnight flight. I'm giving them points for service, too. Several of those restaurants were impossible reservations to get, and the concierge went out of his way to score the un-scoreable. 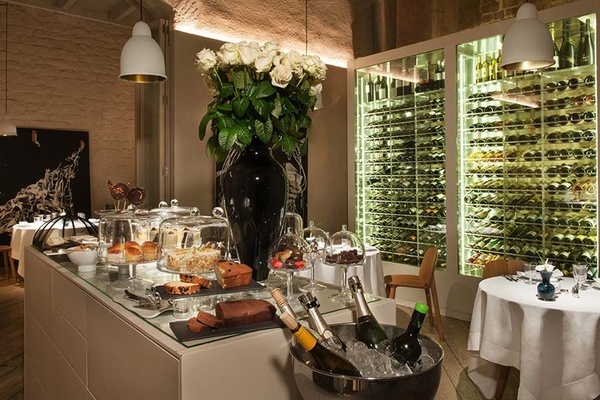 Barcelona's five-star hotels, like Cotton House, Mandarin Oriental, and Hotel Casa Fuster, tend to be grander endeavors. They're undeniably beautiful and impressive, but I prefer small hotels. For intimacy, service, style, and setting, and for how nice it was to retire into this cocoon after jam-packed days in the city, Mercer Barcelona was absolutely unbeatable. 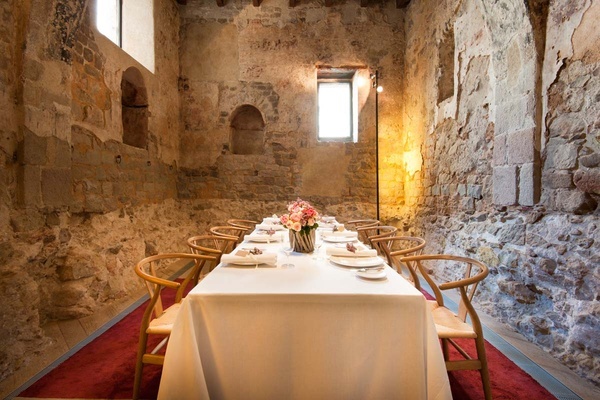 Private dining room with Ancient Roman walls. On a pedestrian street in the center of the Barri Gotic, a five-minute walk from the Jaume I metro stop. Quiet, with modern, light-infused décor in an ancient stone structure. Well-heeled couples of all ages having a city break. Although there's a rooftop pool, the hotel doesn't feel appropriate for small children. Dining options include upscale Mercer Restaurant inside and the more casual Le Bouchon, which opens onto the street. Bars include the elegant cocktail bar on the ground floor or at the rooftop bar by the pool. The lobby living room is near the atrium; a library behind the bar is usually empty. Nespresso coffee maker, mini bar stocked with drinks but not snacks, Molton Brown products, a full-size blow dryer. Wi-Fi is free. Calle dels Lledó is a pedestrian-only street. Which is charming but can be inconvenient for taxis. We couldn't get dropped off in front of the hotel on arrival and had to walk our suitcases the last few blocks. (Good thing our bags were light.) On departure, the hotel arranged a taxi pick-up in front of the hotel without a problem. Barri Gòtic is touristy but terrific, and in itself is a diversion. Nearby sites include the , , El Born, , La Ramblas, the famous market. restaurant is as unmissable as everyone says it is, and as popular. I went 15 minutes before they opened and had the second seat at the bar. It was an outstanding first supper of the night.